Real Cinnamon powder as flavor. Disclaimer: Cones are extremely fragile and susceptible to damage during shipping. While we do package them as carefully as possible, some cones may still be damaged during transit. 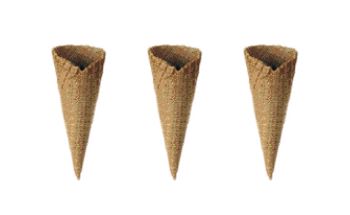 Matt's cones is not responsible for cones damaged during shipping.